Think you’ve got a firm handle on the presidents? The Smithsonian Book of Presidential Trivia from Smithsonian Books just might make you question how comprehensive your head-of-state knowledge actually is. President’s Day is February 19 and to commemorate the holiday, we offer some nuggets excerpted from the book that reveal a few unexpected facts about the sartorial habits, social practices and defining characteristics of our commanders-in-chief. Whiskey was one of Washington’s most important business ventures at Mount Vernon. At peak production in 1799, the distillery used five stills and a boiler and produced eleven thousand gallons of whiskey, and with sales of $7,500 that year, it was perhaps the country’s largest distillery. That evening his wife, Dolley Madison, hosted a gala at Long’s Hotel. The price of admissions was four dollars per ticket and four hundred tickets were sold, and so began a Washington tradition. Today the Presidential Inaugural Committee plans all the official inaugural balls. 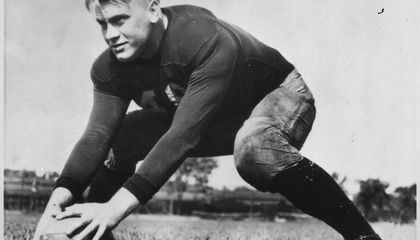 Gerald Ford was a fashion model in his youth (even appearing on the cover of Cosmopolitan). Ford’s first love was a woman named Phyllis Brown, a fashion model who persuaded him to invest in a modeling agency and to do some modeling himself. Together they appeared in ski resort spread of Look magazine (1940) and on a cover of Cosmopolitan (1942), but ultimately, the pair broke up. She wanted to continue modeling in New York and he decided to forego the runway and begin his law career. Harding wore a size 14, but unfortunately, those big feet did not ensure that his administration would be on firm footing. It turned out that Harding’s trusted advisors were not so trustworthy, and his presidency was riddled with scandal. Four presidents have received the Nobel Peace Prize including Theodore Roosevelt, Woodrow Wilson, Jimmy Carter and Barack Obama. Roosevelt received his in 1906 for his many efforts toward international peace, including his role in formulating the 1905 peace treaty between Russia and Japan, while Wilson was awarded the Nobel in 1919 for founding the League of Nations after World War I.
Carter was long retired from the presidency when he won the prize in 2002 for his efforts to advance human rights and advance peaceful solutions to international conflicts. Obama, meanwhile, was honored with a Nobel in 2009 for his work toward strengthening international diplomacy and cooperation. After losing the 1912 election to Woodrow Wilson, Taft served as a professor of law at Yale and was later appointed by Warren Harding as chief justice of the United States, a position he considered his greatest honor. Tyler was married twice. He had eight children with his first wife, Letitia and after she died, the 54-year-old president married the 24-year-old Julia Gardiner, with whom he had seven more children. Tyler wins the prize for having the most children of all of the American presidents. As the title suggests, this article discusses little known facts about past presidents of the United States. For example, who knew that Gerald Ford was a fashion model, that Theodore Roosevelt wore a ring with a lock of Lincoln's hair in it, that John Tyler had 15 children, or that Abraham Lincoln attended seances. Many people are under education when it comes to knowledge about the past presidents. And the people who are educated about them mostly only know about their role in the political world. 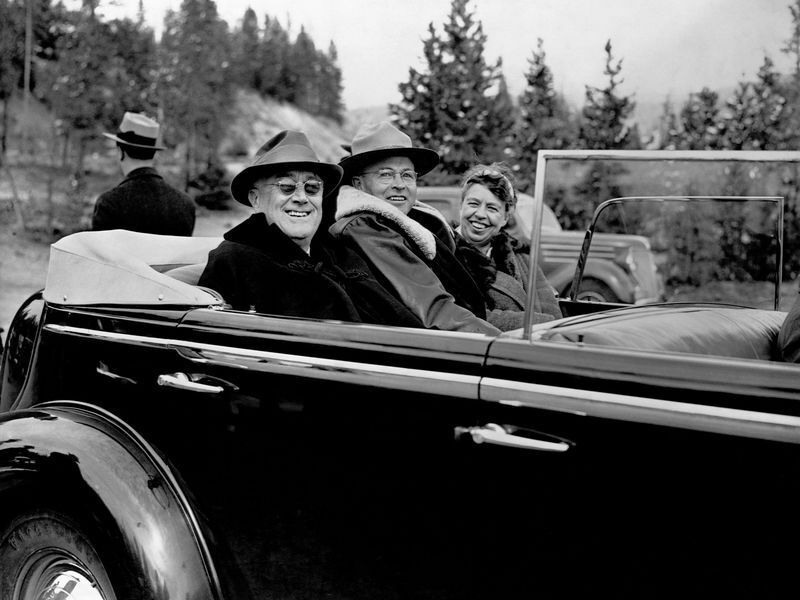 This article offers facts about the presidents' personal lives and their experiences beyond the white house. I think the most interesting presidential fact was that Franklin D. Roosevelt was the first president to name a women to his cabinet. He made Frances Perkins a secretary of labor in 1933. She was also the governor of New York at one time. She established the labor standards bureau and was a principle architect of the Social Security act when she was the labor secretary. It was very surprising to me that he was the first president to show that amount of respect towards women. This article was very interesting and I found the fact that George Washington had a distillery the most surprising. I think the most surprising fact was that John Tyler had 15 children because he married a 24 year old at 54 and had 7 kids with her after he already had 8 kids with his previous wife who died. The most interesting thing to me was that John Tyler had 15 children. I find this quite interesting as that is half of thirty, one fourth of sixty, and one eighth of ninety. Another reason I find this interesting is because having to wait approximately 9 months for each child was quite the task. However, I can see Tyler having the time to do that. In my opinion, the most surprising fact about the presidents was that Theodore Roosevelt wore a ring of Abraham Lincoln’s hair. Part of it is that it’s kind of disturbing and a little gross, but the section also included background. The ring was given to him by one of Lincoln’s subordinates, who knew Theodore would treasure it for its worth. Another surprising thing was that Theodore Roosevelt was just a child when he saw Lincoln’s funeral. Jon Taylor had fifteen kids, that is the most suprising fact to me. FIFTEEN....that's a litter. And each wife raise 7 or 8 kids? I can't imagine raising that many kids let alone one. I'm not sure if they actually raised those kids together but if the wives stuck around and the president didn't neglect his kids, kudos to them. This was definitely shocking to me. For me, I never knew that Abe Lincoln, Held séances in the White House. It also amazing that Teddy Roosevelt was the first to ad a women to the cabinet. Talk about history in the book of women. The presidential fact that was the most surprising to me was how Theodore Roosevelt wore a ring with Abe Lincoln´s hair in it. If you think about it for a while, that´s just creepy.